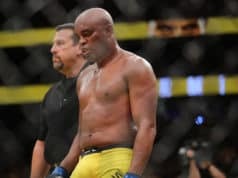 Anderson Silva and Israel Adesanya will meet in the new main event tonight (Sat., February 9, 2019) at UFC 234 from the Rod Laver Arena in Melbourne, Victoria, Australia. Stay posted on Lowkickmma as we will have ongoing results from the Land Down Under. 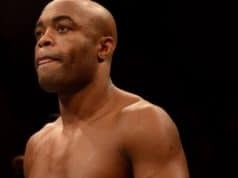 Silva will make his return to the Octagon after a two-year absence. “The Spider” snapped a four-fight losing streak in his last outing when he beat Derrick Brunson via decision at UFC 208. Adesanya’s rise up the middleweight ranks has been Conor McGregor-like. 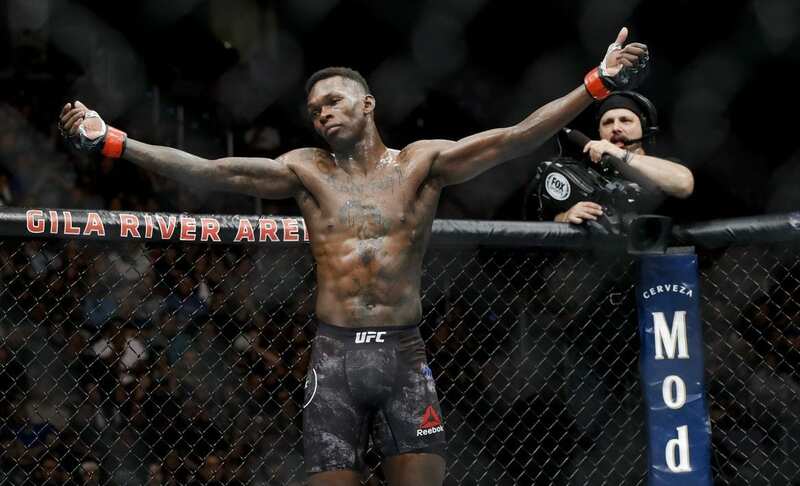 If “The Last Stylebender” is able to get past Silva and improve to 16-0 he will be looking at a title shot in his next bout. Adesanya takes the center as he faints. He throws a lazy leg kick as he moves forward. Silva is on the back peddle but he is looking patient thus far. Not much yet as Silva throws a leg kick. Adesanya throws a hook kick or question mark kick that nearly lands. Halfway through the round and Silva getting in a rhythm now. Adesanya clips Silva with a right. Silva rushes and he gets clipped again. He lands a right on Adesanya. He lands a right hand again but gets caught with a counter as he was reaching. Silva is biting on Adesanya’s faints, Silva just gets out of the way from a head kick. Adesanya lands a left hand. The round ends. Silva takes the center and pumps his jab to start round two. Some showmanship by Adesanya to start. Silva lands a right hook. Adesanya flicks his lead leg at Silva’s head. Silva having a hard time getting off first because of Adesanya’s faints and movement. Silva rushes and throws a spinning heel kick, Adesanya throws a spinning head kick. Silva moves forward and lands some right hands. Adesanya lands a hard leg kick that buckles Silva. Adesanya a quick one-two. Silva lands a right hand, then a left. He lands some dirty boxing too. Adesanya lands a leg kick. Silva lands a one-two. The men reset. Silva moves in and lands as does Adesanya. The round ends with Silva throwing a wild spinning back kick. The final round starts with Adesanya taking center. He lands a leg kick that buckles Silva. Silva says it doesn’t hurt. Silva rocks Adesanya and follows with a flying knee. Silva nearly flew out of the Octagon while he missed the knee. Adesanya resets as Silva says I’m right here. Both fighters gloating now. Adesanya lands another hard leg kick. 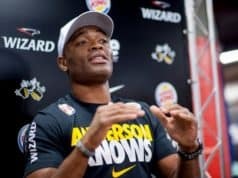 Silva fainting his lead hand. Silva bouncing on his heels as Adesanya stands flat-footed here. Silva goes to the body. Adesanya is like a sniper here in round three picking off Silva from distance with strikes. Adesanya rips the body again. Silva throws a head kick of his own. Adesanya goes to the body. Silva a spinning heel kick that misses as the fight ends.